Happy Monday, everyone. Hope you all had a great weekend. I got to be outside the majority of the day Saturday and it felt pretty good. 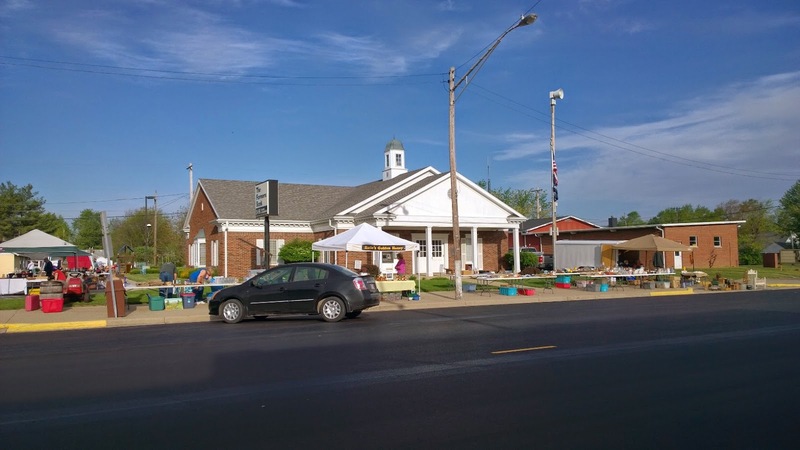 I went up to Kirklin, Indiana to attend their monthly flea and farmers' market. It was definitely worth the drive. 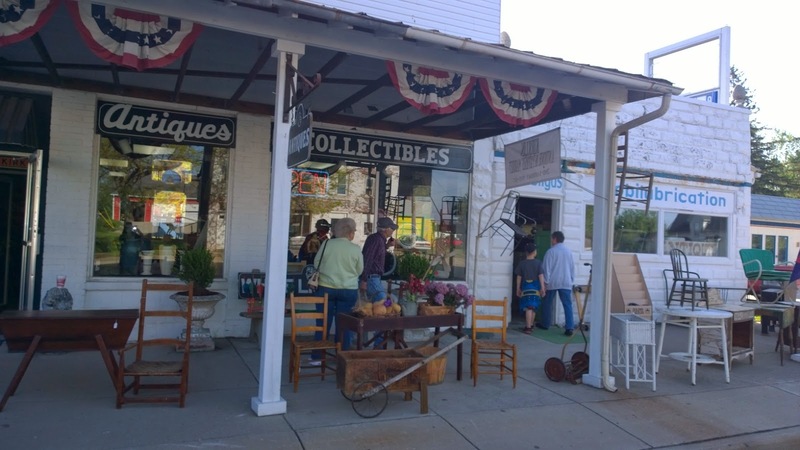 They had about 20 vendors set up and every single antique store (which is nearly every store in town) was open. I fell in love with this little town. Won't you let me show you around? This is the view you get when arriving in town from the south. 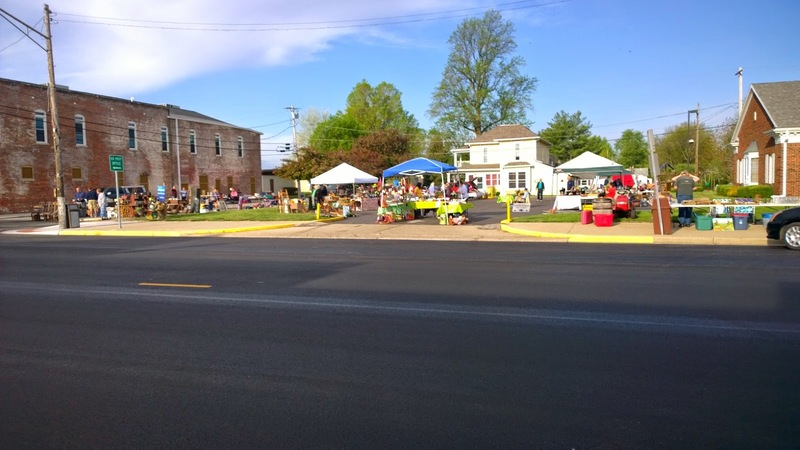 View from across the street of some of the vendors that were set up for the flea and farmers' market. The town bank was their gracious host. 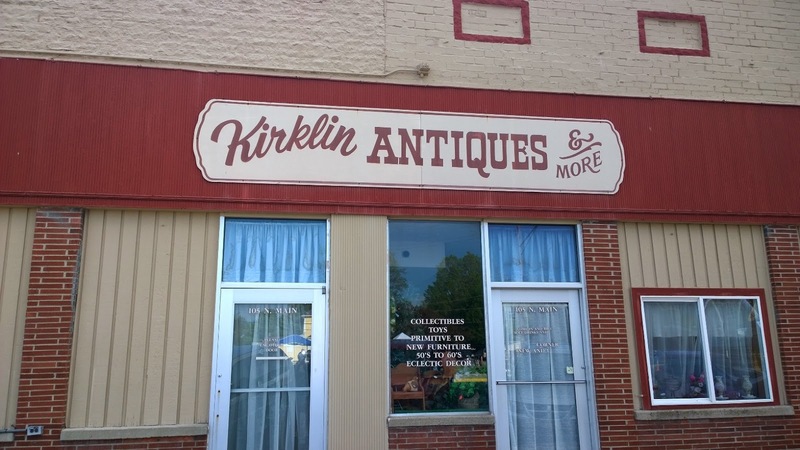 First up on the antique store tour is Kirklin Antiques. 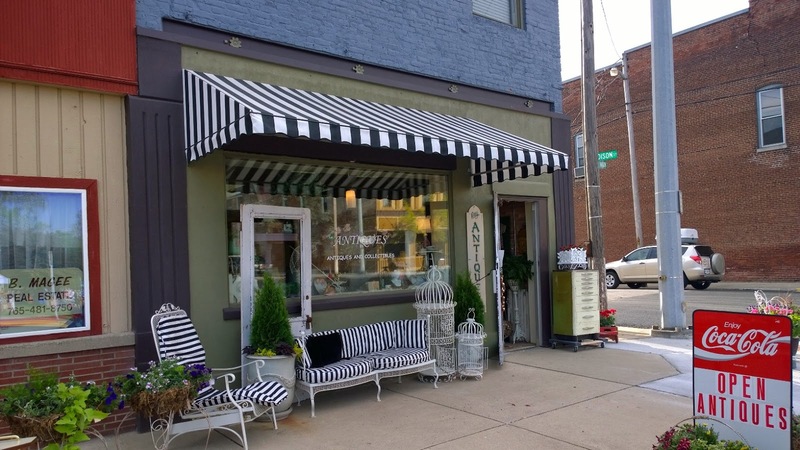 This small little town is the host of quite a few antique shops. 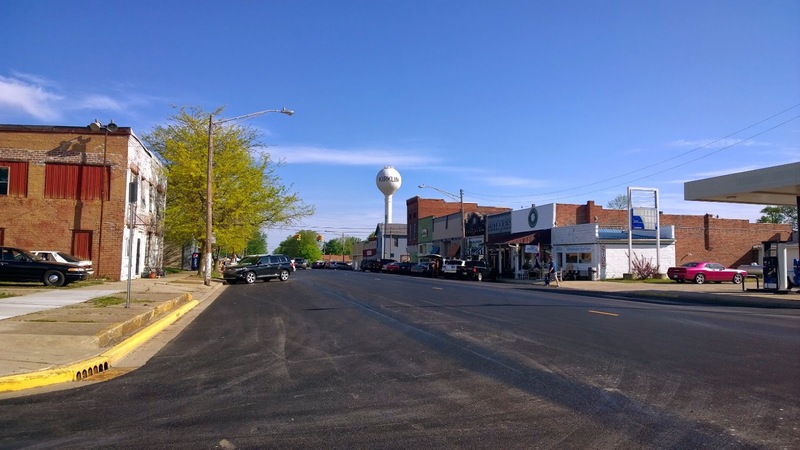 The person who owns all of the buildings in town bought them all to restore them to their former glory and wants to make Kirklin an "antiques destination" in Indiana. 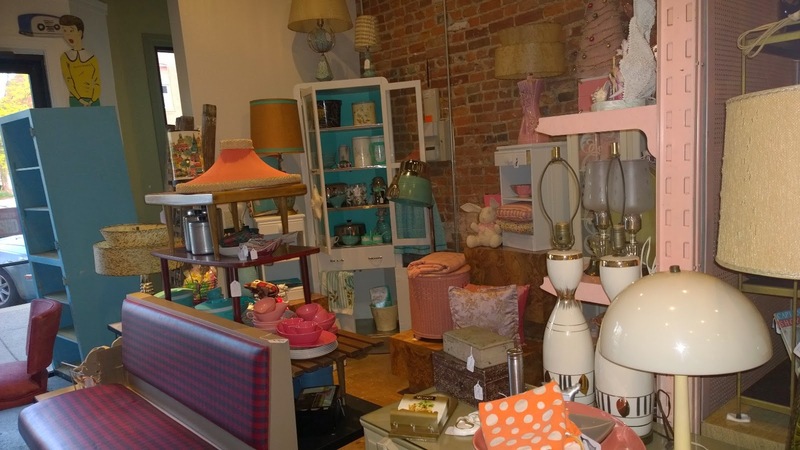 They've got a great start on the antique stores. 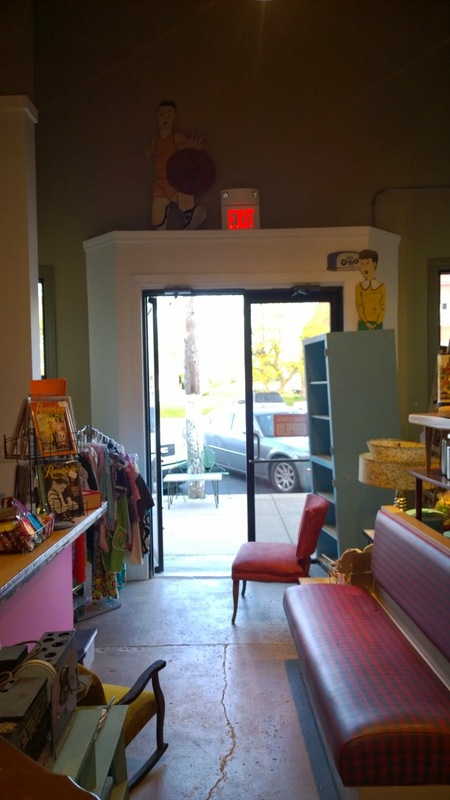 They also have an art gallery, a pizza place, and a coffee shop/deli. They are working on refinishing one of the buildings so that a nice restaurant can move it. I hear it has the original late 1800s solid wood bar still. 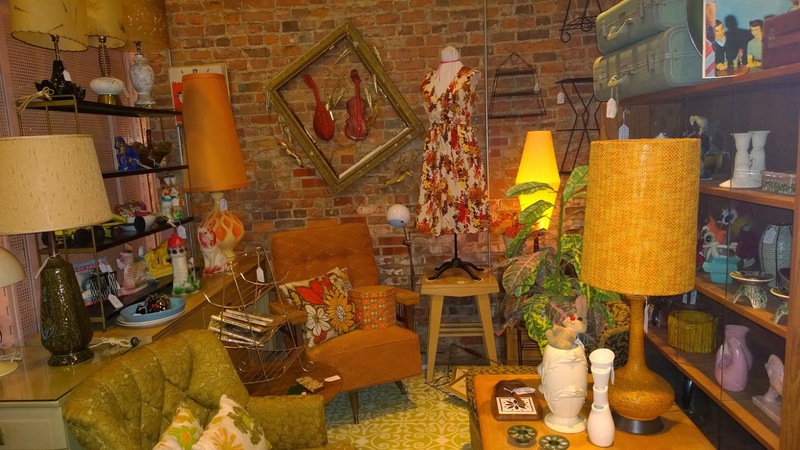 Next up is Clementine's Antiques and Accents. 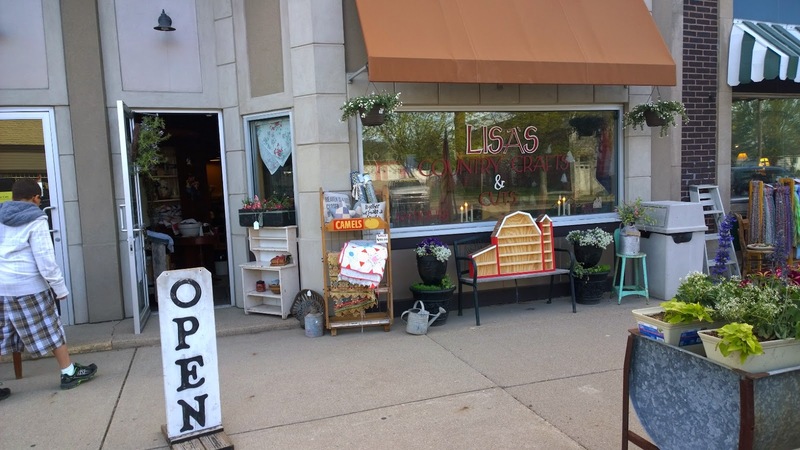 And then we have Lisa's Country Crafts. Next up was my favorite building in the whole town - Old Bank Antiques & Uniques. If you couldn't have guessed, it's in the old town bank. 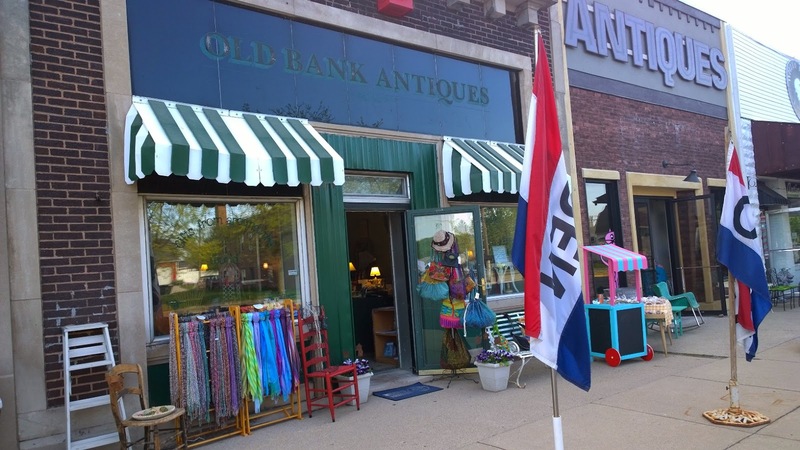 I wish I had snapped a picture, but I was too surprised to find that Old Bank is also a fair trade store! I've never seen a fair trade store outside of a big city. So of course I had to pick up a few things. Next to it was the new location for 3 Stray Cats. Gabby, the owner, was still moving things in. I snapped a few pics while I was inside, because we have exactly the same taste. If we went picking together there would be MAJOR competition. 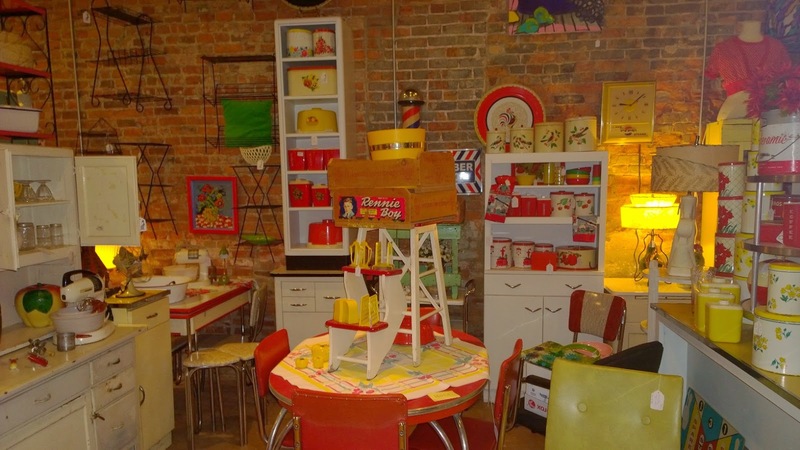 I really love how there were little vignettes set up of living rooms, kitchens, etc. It was perfect! 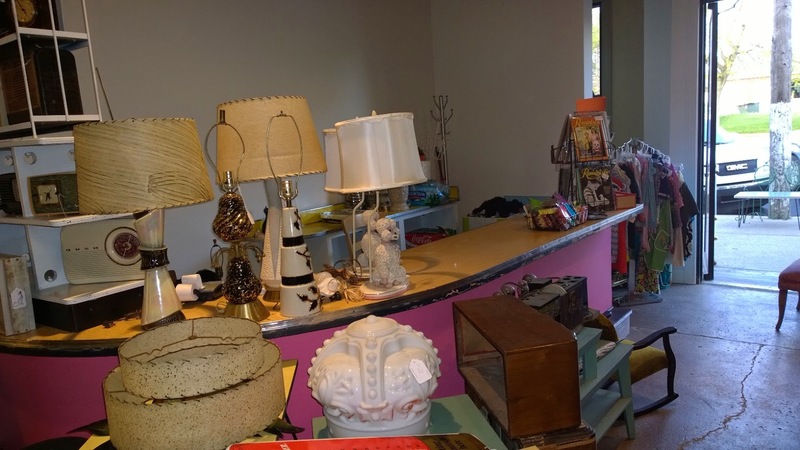 Last (but not least) was White Lion Antiques & Collectibles. His shop was museum quality! I should've paid admission to view all of the wonderful antiques that were all so meticulously displayed. Plus there was some wonderful primitive furniture! There were a couple more places, but I actually had to cut my time short, because I had an auction to be at in 30 minutes that was at least a 20 minute drive from where I was. I don't have pictures of the auction, but it was on an old farm out in the middle of no where. The couple married during WWII and had lived on that property pretty much since then. The husband had been a pilot during the war. There was lots of interesting war memorabilia. I didn't buy any of it. I did try to buy a few of the aviation manuals that the husband had been issued during his time in the military. Anyways, I'm sure you're all waiting to see what I bought from Kirklin and the auction, right? 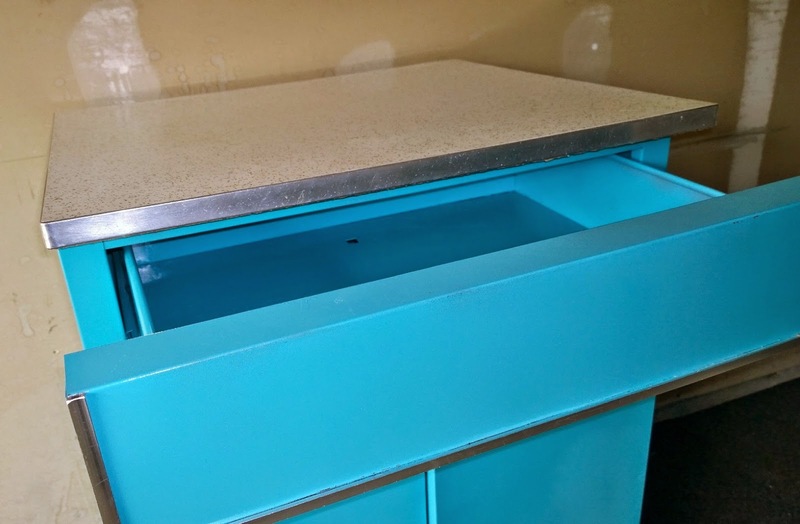 Well, wait just a second, because I HAVE to show you the refinished ugly brown cabinet (click the link to see the HIDEOUS before picture). 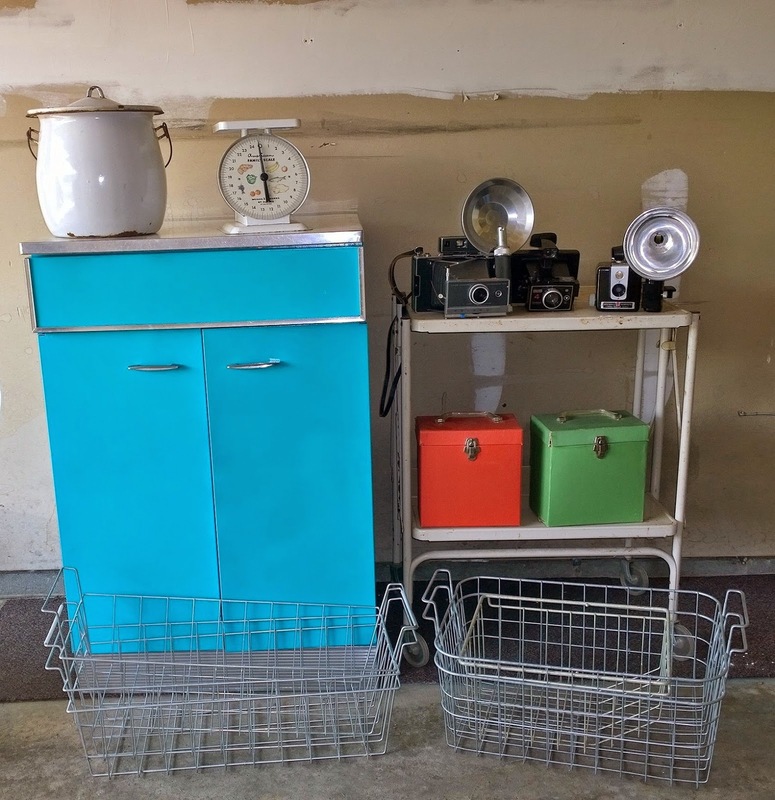 Next to one of this weekends finds (another fold up bar cart) for scale. 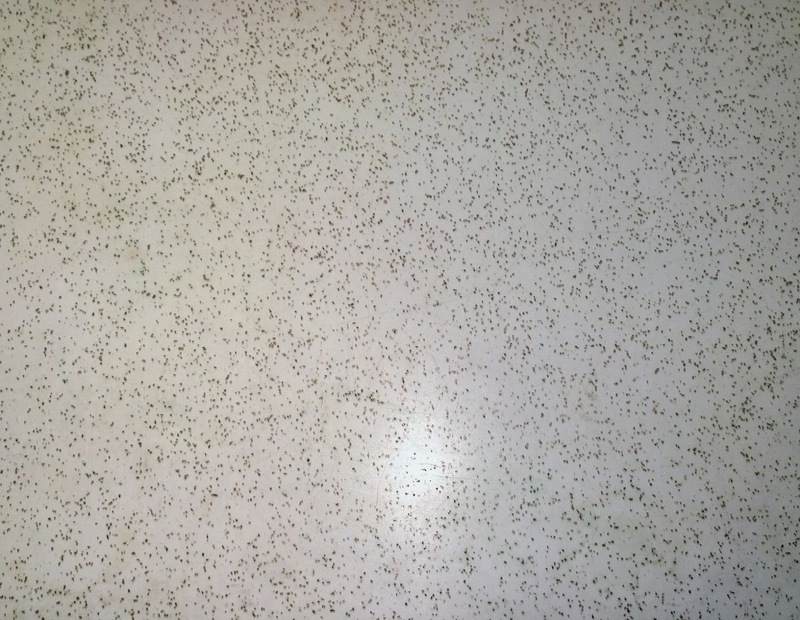 The wonderful gold glitter original formica top. New insides. Look Ma, no rust! 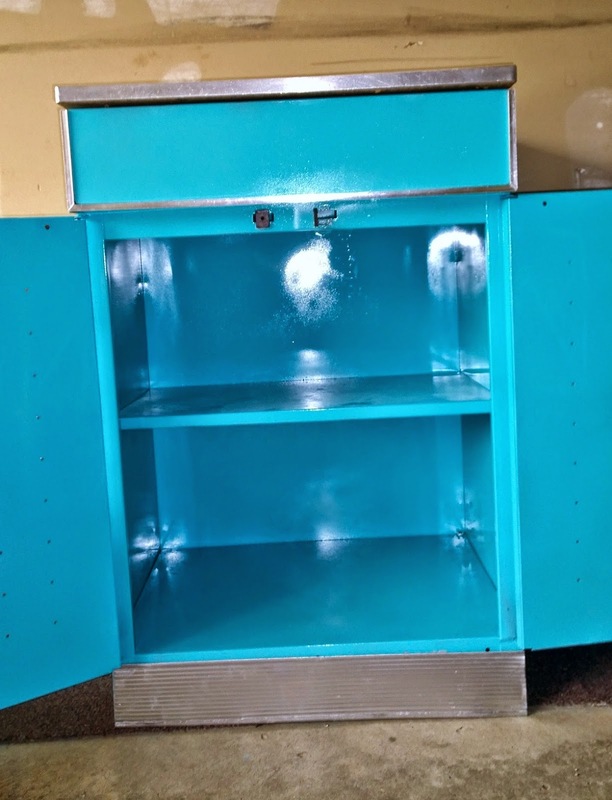 Even has a refinished "chrome" piece on the bottom. 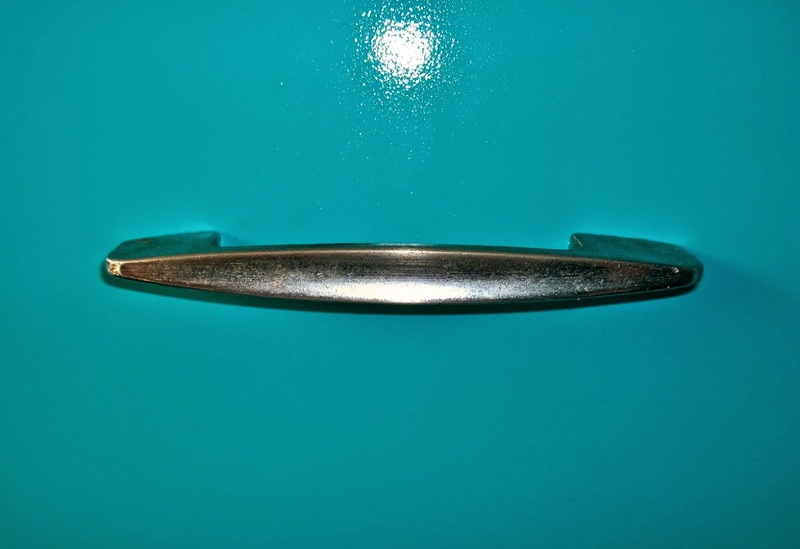 I also kept the original handles - just shined them up a little. 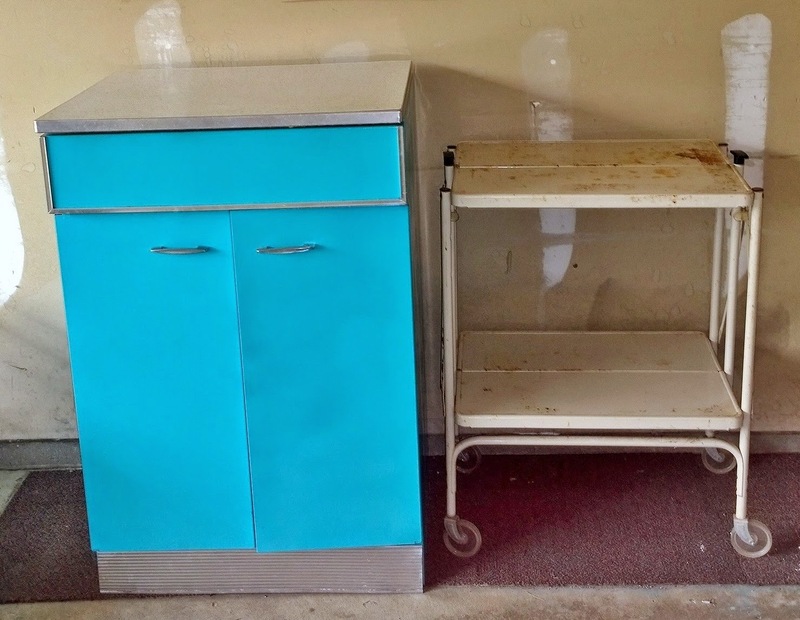 Ok, so now that I showed you the cabinet redo, I can get on to my finds. I had to show the cabinet first because I used it as a prop for Saturday's finds. I now know the secret of where to find vintage wire baskets. But like hell am I going to divulge (mwah-haha)! Also got 2 more 45 cases in Christmas colors. They actually came from Lisa's Country Crafts (see above). The enamel pail with lid was a flea market find. 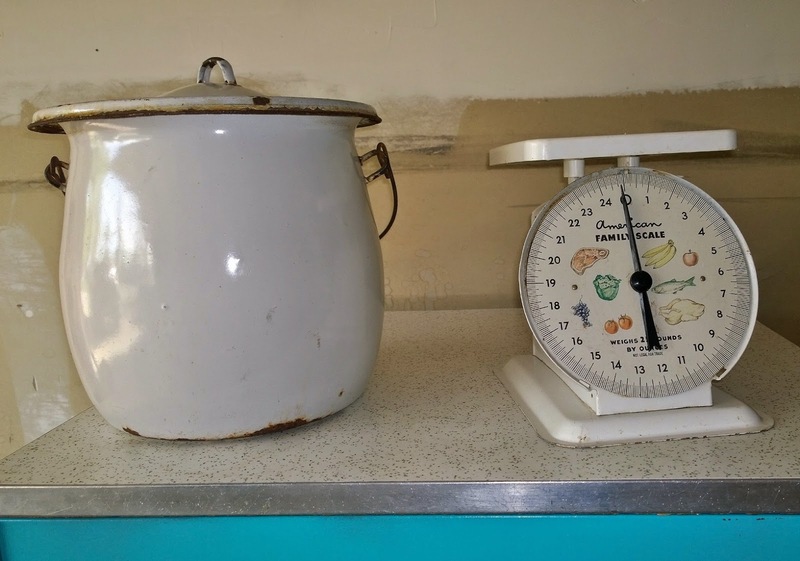 The scale was an auction buy. 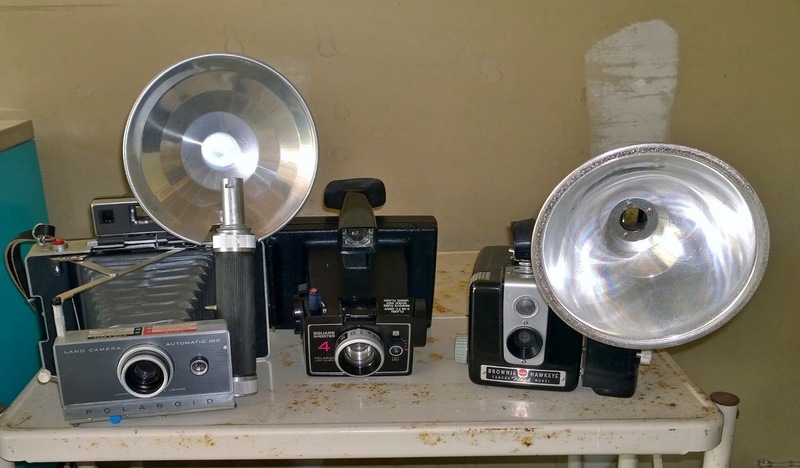 This lot of cameras was an auction buy. These were auction buys. There were a few other pieces of Pyrex that people WAY overpaid for. Hello, there's NO WAY I'm pay $15 for 3 Early American casseroles. I don't need the lids THAT badly. There was a Butterprint 503 with no lid that someone bought for almost $20. Yikes, no way! 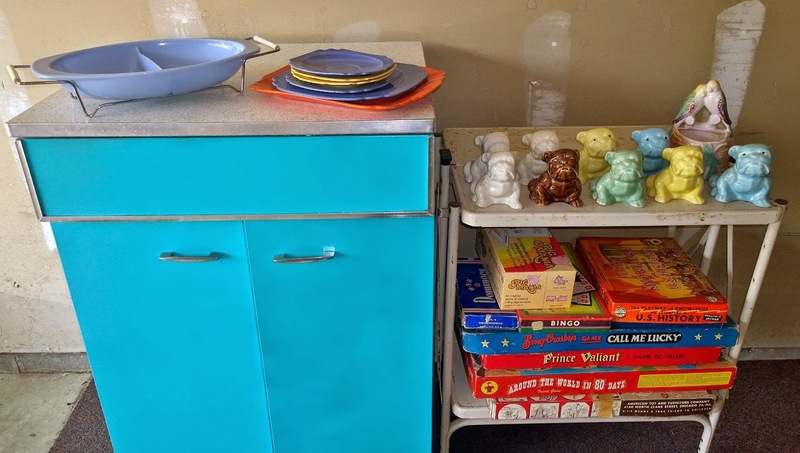 These were sold together and the delphite blue piece was not announced as Pyrex. I was the only, low bidder. The other pieces are unmarked Homer Laughlin Riviera. This pattern was made from the late 1930s to the late 1940s. How could I pass up these precious faces? I bought all these Morton Pottery bulldog planters from one vendor at the flea market. She said she picked them up here and there over the years, since she used to have a bulldog. The poor bulldog has been gone for many, many years and she has found a new love in a different breed of dog. The Morton Pottery lovebird wall pocket/planter was an auction buy. I decided to keep the green bulldog. He matched the green McCoy elephant planter I bought awhile back. 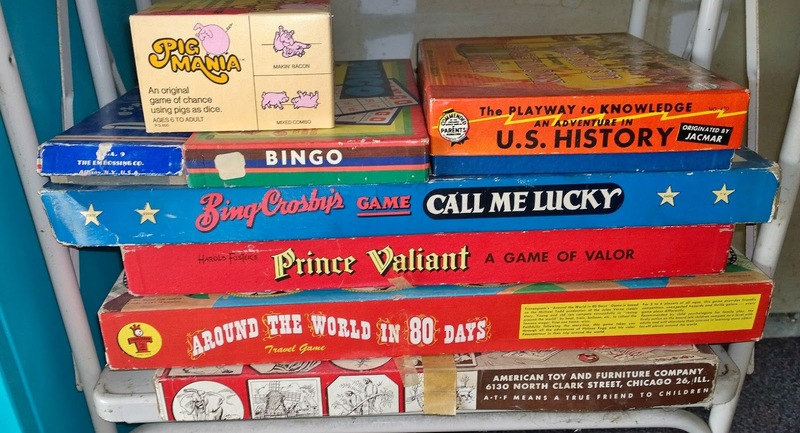 I bought this stack of games, because I was thinking of selling all the pieces for crafting, journaling, etc... but after searching for some of these on ebay.... they may be worth more as the actual game. 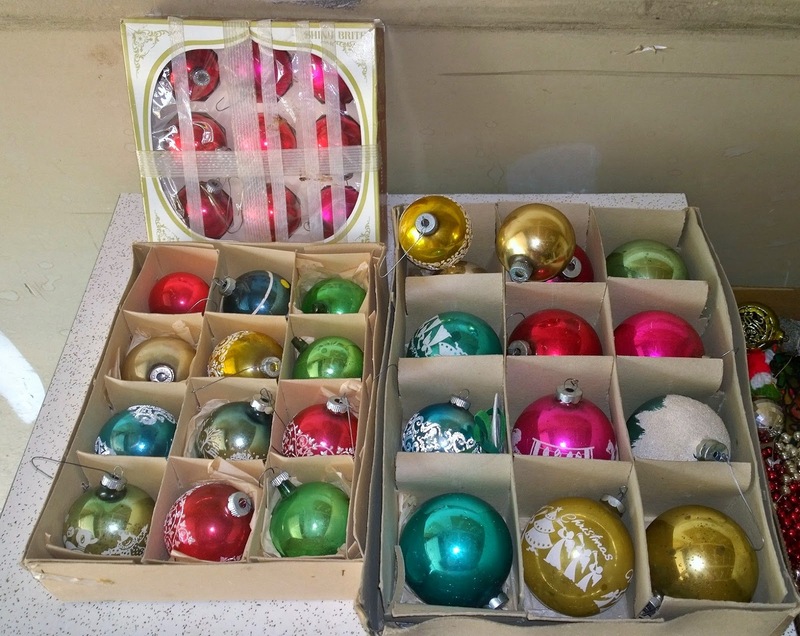 It wouldn't be an auction without vintage Christmas. YAY - finally some mercury glass strands. 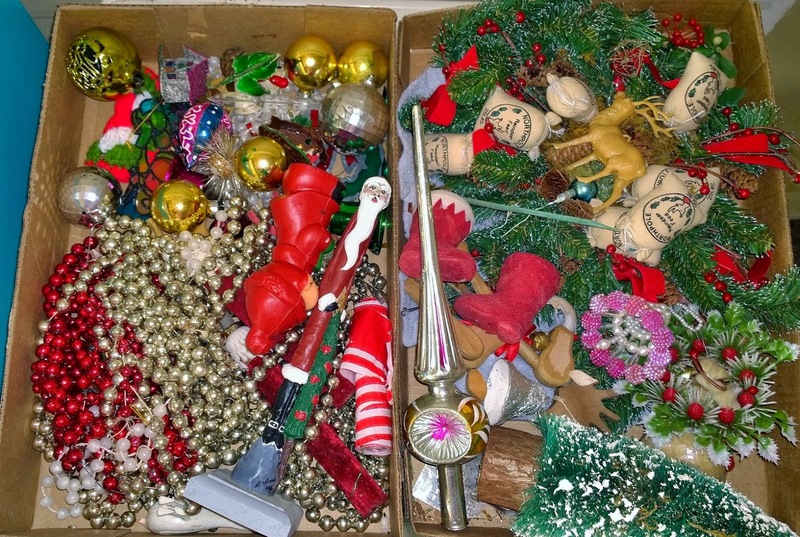 I didn't bother to sort through these box lots yet... but there are a few gems in there! 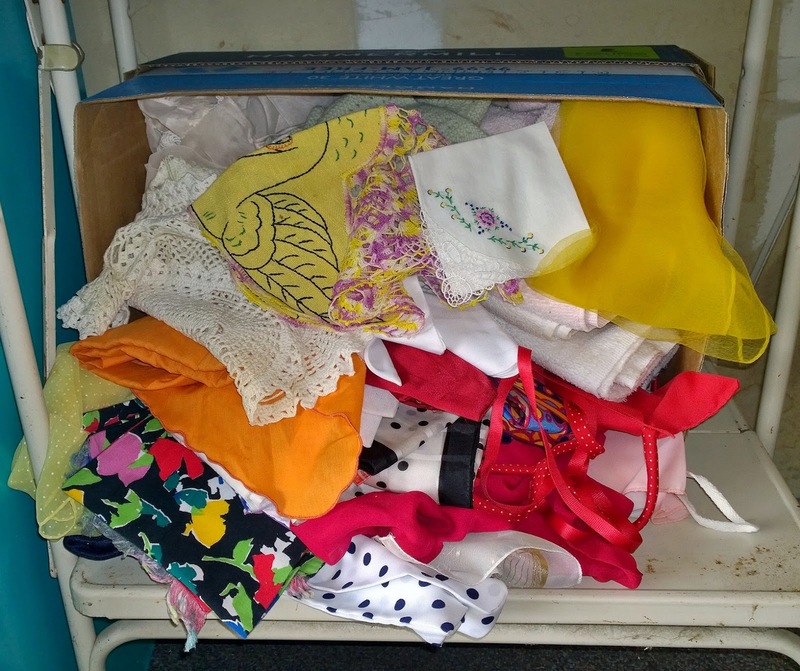 And finally - this paper box full of hankies, doilies, and scarves. I really wanted just the hankies and doilies... but will have to look up some of the scarves. There are quite a few old ones there. These are all soaking now waiting to be dried and ironed (THE WORST PART OF SELLING LINENS). Well, that's it. It wasn't a lot of stuff, but quality is better than quantity, right? 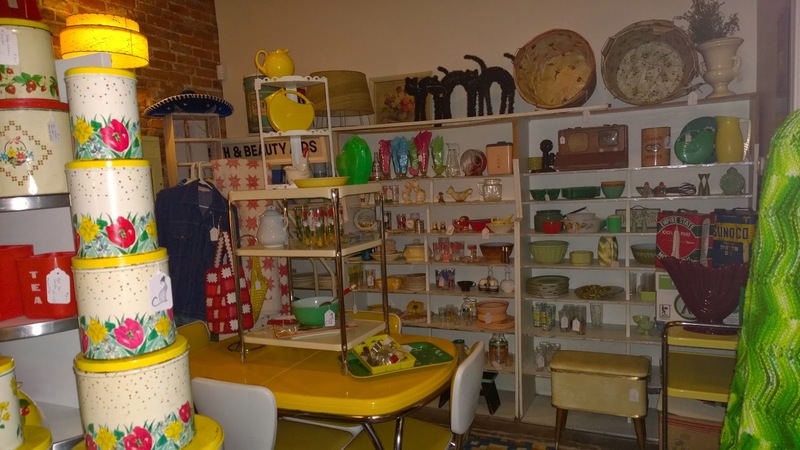 And I have to announce that I will be the new hostess of Thrifty Things Friday that was originally hosted by Linda and Diann. Thanks to both of you for allowing me to continue to host! Look for the first TTF link-up on Friday! Everything else should stay the same! Great Stuff! I'm drooling over all that Christmas stuff! Excited that you are taking over the link party. I'm in for sure! Melissa I am so glad that TTF will continue. You will be a great hostess! Love all your fun finds and those bulldog planters are adorable. Are you selling any of them? I live in 'Bulldog' Country! Hi! Great tour. 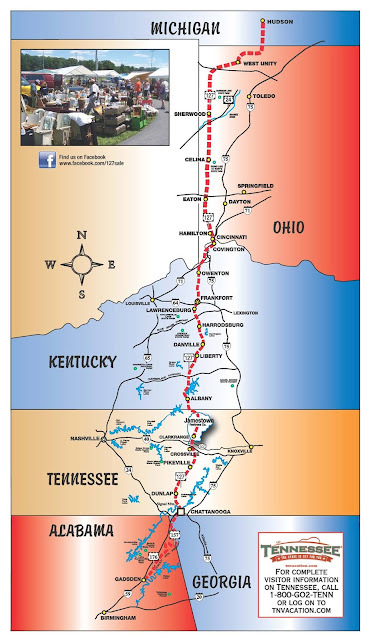 I would love to go to this little town! I love the Dephite Pyrex! Glad to see all your fun and hard work! Great scores! Drooling over the bulldog planners...such great colors. 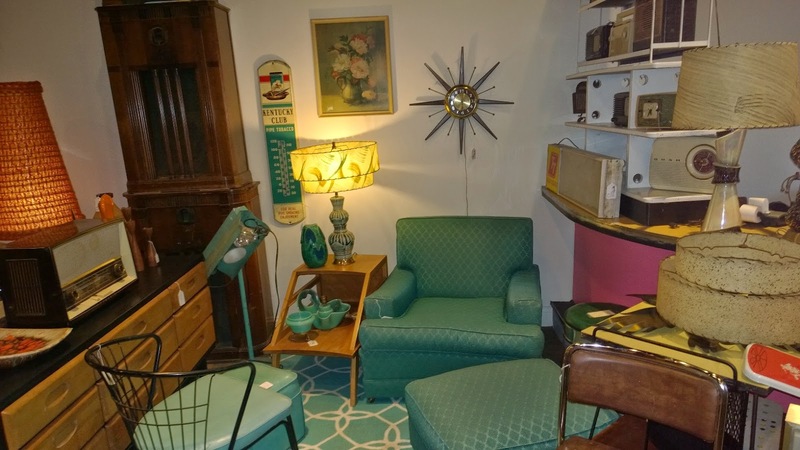 You are in a thrifting wonderland, for sure!! That's so great that you're taking over Thrifty Things Friday - look forward to it!!! OOHHH MY! 3 Stray Cats place is THE BOMB! 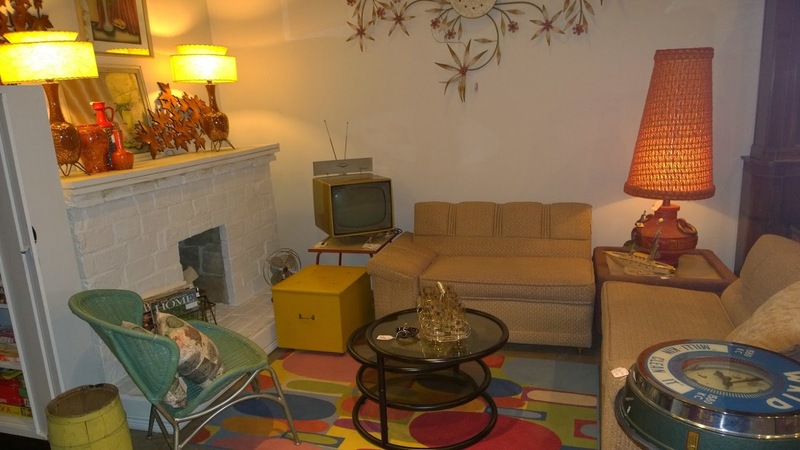 I don't think there was ONE THING in the pictures I wouldn't want to live in my retro house!!! Melissa, you found so many great things! I am so excited that you will be hosting TTF. I was so sad it was going to stop and now you are taking over! High five! Have a great week. I enjoyed the tour! What wonderful treasures in those stores! I have a special love for retro kitchen things from the 20's through the 50's. You've inspired me to visit a couple of shops today when I run my errands! My kind of place. I enjoyed the tour through your lens. Good luck on your new meme. Wow. Thanks for the tour of this sweet little town, I'd love to be able to just drive right over and load up my truck. You found some awesome treasures, good thing we don't shop in the same places:-) Congratulations on taking over for Linda and Diann. I'll be over to party. That town sounds like a bit of heaven. At least for me! lol! You really brought home some treasures. Love, love the cameras. I have a collection, but none with those large bulbs. The 45 cases will be so fun at Christmas. Congrats on taking over TTF. I'll be out of town this week, but will hop over and join next week. Thanks for sharing with SYC.